The quality of Republican leaders has fallen off a cliff. Formerly, GOP leaders were educated men and women of principle and character. That is no longer true. George HW Bush fathered George W Bush, our worst President. Ron Paul fathered Rand Paul, a TEA Party favorite and a man of immense ignorance. By coincidence, on the same day I wrote about death and taxes in my post Uncertainty, I happened upon this in Atlas Shrugged. Please note 12 years of tax returns. Do you suppose that George Romney got the idea from Ayn Rand? Atlas Strugged was published in 1957 and George ran for the GOP nomination in 1968. This is part of a conversation between the pirate Ragnar Danneskjold and Hank Rearden when Danneskjold attempts to refund a portion of Rearden’s income tax in gold. Now if he just had access to Mitt‘s returns. According to Ayn Rand, looters are people like government officials who do not produce any goods, but live on tax revenue or other people’s work. This quotation is from Fear and Loathing: On the Campaign Trail ’72 by Hunter S. Thompson. When I saw it, I said to myself that may be why Mitt will say and do almost anything to be elected. His father, George Romney, lost the 1968 nomination to Richard Nixon because George had offended the Goldwater wing of the GOP in 1964. 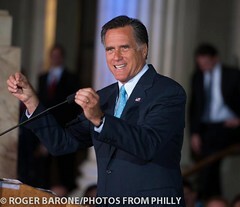 Mitt is taking pains this year not to lose the support of the GOP base. “A career politician finally smelling the White House is not much different from a bull moose in the rut. He will stop at nothing, trashing anything that gets in his way; and anything he can’t handle personally he will hire out–or, failing that, make a deal. It is a difficult syndrome for most people to understand, because few of us ever come close to the kind of Ultimate Power and Achievement that the White House represents to a career politician. Yes, George Washington was right when he refused to allow himself to be crowned king of the US. He recognized that the ability to rule as king or president is not automatically passed from one generation to another. That is why he agreed to serve as president, not king, and why he stepped down after two terms having served his country almost his entire life. We have two recent and ongoing examples of why he was correct. If you compare the presidencies of George H W Bush, an average president, and George W Bush, a very poor president, you can readily see that ability to be president is not a genetic trait. 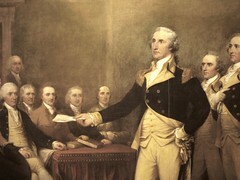 We also have the example of George Romney and Mitt Romney. While reading George Romney, Mormon in Politics by Clark R. Mollenhoff, I was planning to compare George and Mitt by abilities and accomplishments. Unfortunately for the US, George Romney would win that comparison hands-down. At this time in our history, the GOP should be offering us a candidate with George Romney’s qualifications. They and we are burdened with Mitt Romney. I think that George, Washington, Bush 41 and Romney, would be ashamed.